We've put together a checklist to help make sure your inventory is available when you need it and in the quantities you need. For many retailers, the holiday season is critical to ending the year in the black. Fourth quarter sales can equal all sales during the rest of the year - or more! Given it's importance, how can you ensure you have enough inventory at the right time to meet customer demand? We've put together a checklist to help make sure your inventory is available when you need it and in the quantities you need. 1. Create a calendar with key dates. Consider shipping cut off dates and add them to your calendar. When is the last day for a customer to order using standard shipping to receive their order by Christmas? If you offer expedited shipping, let customers know those final order dates too. Buying trends from last year. What categories or attributes sold well during the same time last year? Trends from non-seasonal sales this year. What hot new trends can you incorporate in your holiday merchandising? Are you going to launch new items? Are there holiday-specific items to make available during the fourth quarter? Do you need Thanksgiving-related items by Halloween? Are Christmas/Hanukkah items needed by one week or more before Thanksgiving? Add the timing of stock arrival into your planning calendar. For Inventory Planner merchants, add this info to the Edit Forecast section so that you are purchasing at the right time. Consider if you should change your typical Days of Stock setting (planning period) for these items. 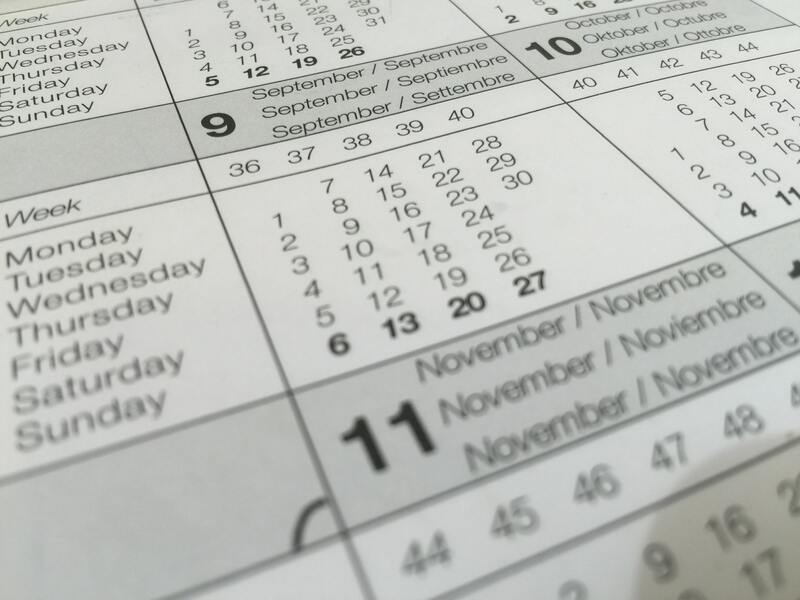 If you typically plan to have enough stock for 21 days but want to cover 45 days of availability for the holidays, then ensure you're reflecting this in your forecasting. Touch base with key vendors to ensure you're both on the same page for holiday inventory needs. Are promotional prices available? Even if discounts are not advertised, it doesn't hurt to ask! Are pre-sale (early order) discounts available? Will there be changes to the lead time? Do they anticipate any production delays or backorder issues? Will there be changes to shipping time? Do they have holiday shutdown dates? Are they open on Black Friday? Between Christmas and New Years? Do they close for other holidays? Now that you know when you need to have items available and when to place orders, when you will you need to pay for your purchasing. What are your supplier terms? Are payment terms different for pre-sale items? Consider if you need to alter your days of stock. For example, if you typically plan to have 14 days of stock on hand, but want to place one order for to last 45 days during the holidays, you'll need to alter your forecast. Mark items as seasonal as needed. This will reference sales trends from the prior year rather that the last few months. Now that you've created your schedule and adjusted lead time and days of stock, start ordering to coincide with when you will need product. Does your warehouse and fulfillment team conduct a full audit of your products? Or do you audit when a stock discrepancy is found? If you're conducting a full audit, what is the procedure? How many people are needed? What are key dates when you will audit your stock count? Create a contingency plan before Black Friday so that you know what dates you will examine sales. Have a plan of action for which levels of sales volume that will trigger promotions or needed reorders from your suppliers. Make these decisions now so that you can act quickly when needed. Using your contingency plan, monitor sales for additional promotions or reorders you will need in order to react to customer demand.